Oregon’s diverse landscapes have always drawn photographers from around the globe, eager to capture the natural beauty of the Pacific Northwest. Six environmental studies students, led by professor Peg Boulay, spent a term photographing that beauty as part of Boulay’s “Restoregon” photography project. Their photographs will now be on display in an exhibit titled “Restore Oregon” at the university’s Museum of Natural and Cultural History starting March 24. All six students’ work will be featured in the 16-photo display. “With the ‘Restoregon’ project, we shifted our lenses to the questions of how and why people restore nature, how nature restores people and how to restore a deep connection between people and planet,” Boulay said. Jalen Buchalter, an environmental studies student who took the project-oriented class, said they photographed tree plantings, burn sites and beautiful places around Eugene while also discussing the ecosystems involved in the restoration process. While their photos were originally printed at the museum, the exhibit started out as a larger display at Townshend’s Teahouse in downtown Eugene. Now the photos are returning to museum, with a few important additions. “We added an introductory panel, which includes some of the museum’s interpretive text and some comments from the instructor,” said Lauren Willis, program and exhibitions developer at the museum. Along with some other employees at the museum, Willis spoke to the environmental studies class periodically throughout the term about design concepts, requirements for the exhibit and how their photos would be interpreted by museum-goers. 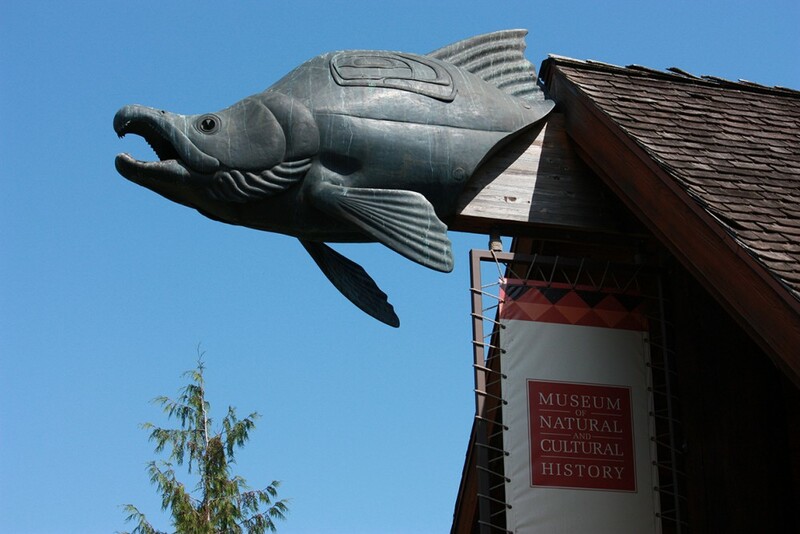 The partnership between the Environmental Studies Program and the museum is part of an ongoing effort by the museum to connect with students and the campus community. Currently, the museum is showcasing a photo exhibit of geophotography from students in the Department of Geological Sciences.